5 Shows Opening This September in Washington D.C.
September marks the start of a new theater season in Washington, D.C., and when it comes to style of story-telling and production, there’s so much to choose from across the DMV region. From new musicals to long-standing classics, here are five diverse productions opening throughout the month. Fresh off sold-out runs in Seattle and San Diego, Come From Away is a new folk/rock musical that is headed for Broadway in spring 2017. Written by the Canadian husband-and-wife team Irene Sankoff and David Hein, Come From Away recounts the true story of 6,579 passengers who were stranded in the eastern Canadian town of Gander following the heart-breaking events the morning of September 11, 2001. Directed by Tony Award-nominated director Christopher Ashley, this production will remind you of the power of compassion and hope, while revealing the fundamental nature of humanity even in the world’s darkest hour. 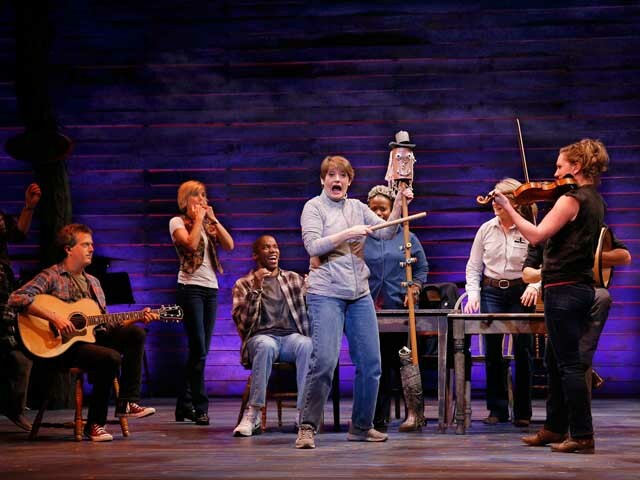 Come From Away runs from September 2 – October 9 at Ford’s Theatre. Enter the lottery for your chance to win two free tickets to the first preview performance on Friday, September 2. Based on Ruth P. Watson’s romantic mystery thriller, Blackberry Days of Summer, Blackberry Daze is a world premiere filled with secrets, seduction, and suspense. It’s the end of “The Great War” in Washington, D.C., and drama stirs as Herman Camm, a provocative gambler, weaves his magic on the lives of three unsuspecting ladies. See the all-star cast of TC Carson (Living Single) and Roz White (Black Pearl Sings!) mount this new production as you enjoy the jazzy and dazzling period score of composer William Knowles. 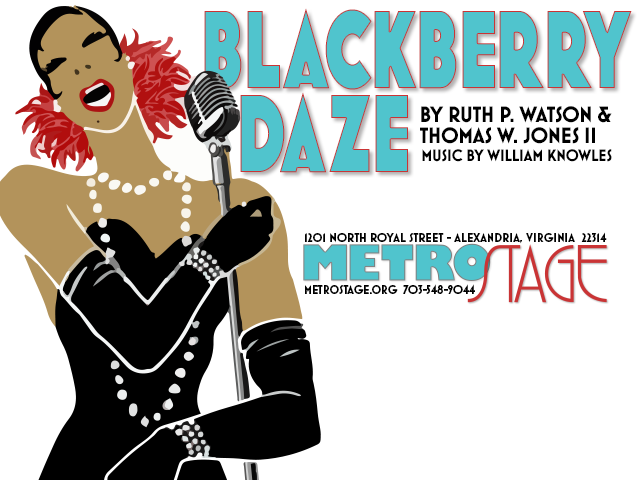 Blackberry Daze runs September 1 to October 9 at MetroStage in Alexandria, VA. Adapted from the classic Jane Austen novel, Sense and Sensibility shares the life and loves of the Dashwood sisters, Elinor and Marianne, in late 18th century England. An endearing tale of sisterhood and romance, this all-new production is produced in conjunction with the Folger Shakespeare Library’s exhibition Will & Jane: Shakespeare, Austen, and the Cult of Celebrity. Senese and Sensibility runs September 13 to October 30 at Folger Theatre. 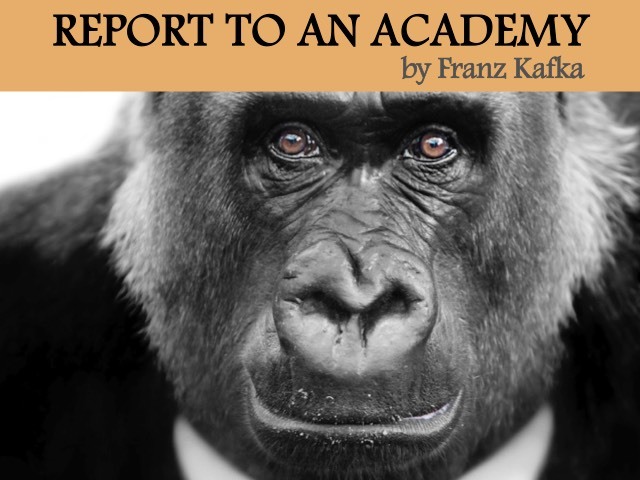 Based on the short story by acclaimed Czech author Franz Kafka, Report to an Academy creates a world in which an intelligent African ape, Red Peter, learns to behave like a human in order to survive. After Red Peter learns to harness his new skills, he presents his transformation —and the horrid details of his ape life—to a leading scientific academy. SCENA Theatre‘s Report to an Academy runs September 2 through September 25 at the Atlas Performing Arts Center. Adapted from Dante Alighieri’s 14th century epic poem Divine Comedy, Dante’s Inferno portrays a lost traveler as he navigates a treacherous journey through the nine circles of hell. 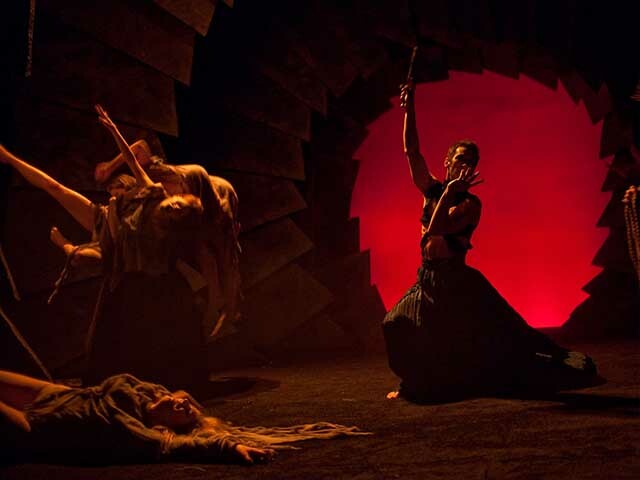 In Synetic Theatre‘s true form, Dante’s Inferno will be a wordless-production combining an original score with stunning visuals and powerful physicality. Dante’s Inferno runs September 28 to October 30 at Synetic Theatre. Craving even more theater? Check out these three up-and-coming theater companies in D.C. this season.